Offering online video appointments to assess your movements to develop a complete fitness workout program for YOUR NEEDS! Helping Female Mountain Bikers Stay Mobile, Fit, and Healthy to be able to shred with confidence! Join Our Free Ladies Mountain Biking Group! Hey, I'm Liz! I am an avid mountain bike rider and also happen to be a Doctor of Physical Therapy. For me, being healthy and fit enough to bike is a must, because, well, I love to mountain bike! I've dedicated a big part of my career as a PT to helping mountain bikers across the country avoid injury and perform at their best! Are you performing at your best? Do YOU worry about injury? 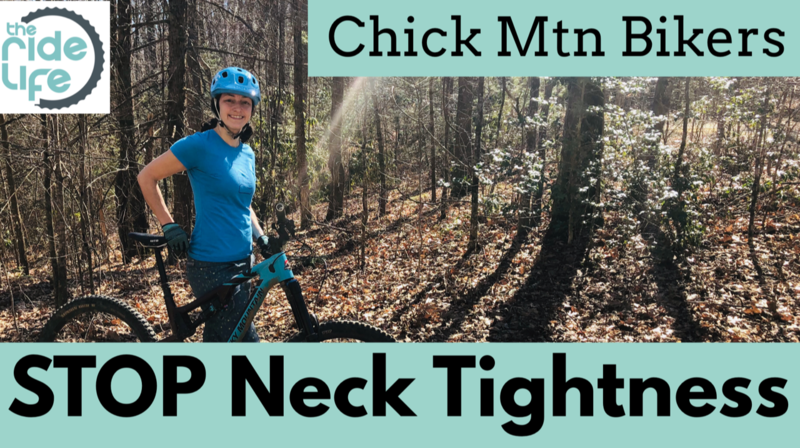 Are You Looking For Relief from neck pain when biking? Working with Liz has been one of the best things I've done for myself. I started working with Liz after a frustrating series of reoccuring injuries. She helped me re-learn healthy movement patterns and gave me the skills and information to confidently get strong and stay healthy, and stay focused on doing the things that I love. Most Highly recommend. Best exercises to get stronger and get over the roots? I recently started having some sports related injured which I tried managing on my own for a few months. I met Liz at a women's mountain bike related event and after speaking with her, decided it was time to seek some help from a professional. Liz has provided invaluable information from the first apt. She performed a thorough evaluation and informed me of what was causing me issues. She structured a plan to start me on the road to recovery and insured that I understood the exercises and the reasons for them. Liz is super helpful with explaining the reasons for the things she is recommending and is very personal and made me feel at ease from the beginning. It's also very helpful that she is a mountain biker herself! I highly recommend Liz and am very thankful to have found her! ​The dreaded down time: How To Return To Biking After A Break! ​Wait, I Can get better at riding by just breathing better? What do you after you've taken a break from riding for awhile? Should you jump right back into the routes you were hitting before or should you ease your way back in? Dr. Liz breaks down how she handles returning to riding after taking some time off in this new blog post! Yep, that's right, breathing can make a HUGE difference in staying healthy when riding. Well duh, everyone HAS to breathe, Liz! That's true, but there are actually specific breathing techniques that will help you improve your core stability while riding.